Yummy alternative to the typical red salsa. This green salsa recipe has a nice little kick! 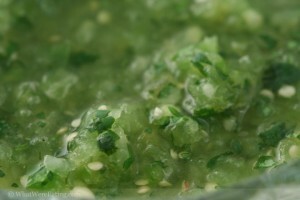 Drain tomatillos and place in a food processor with onion, garlic, jalapeno peppers, cilantro, salt and pepper. Serve with loads of chips!